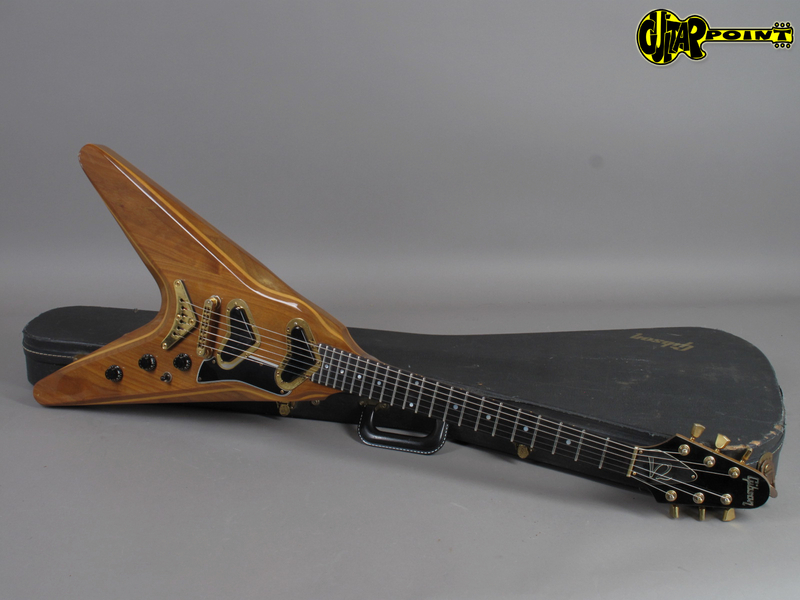 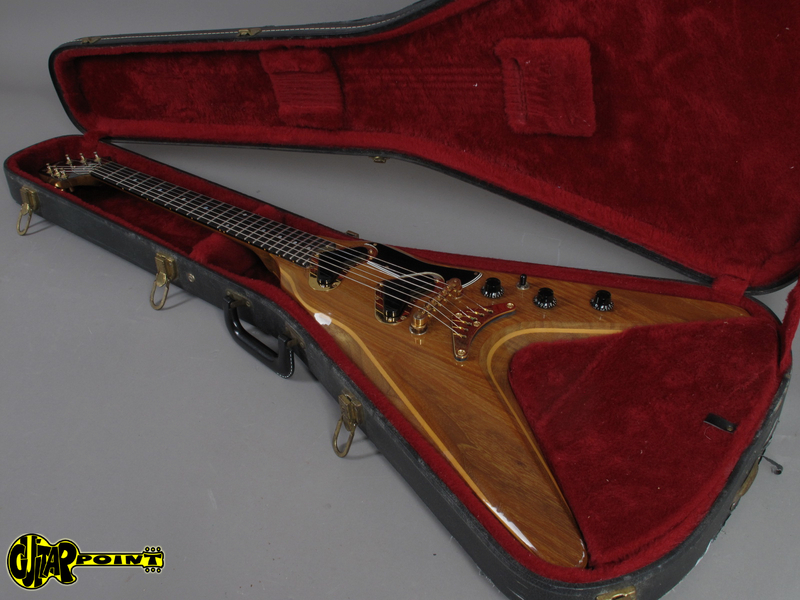 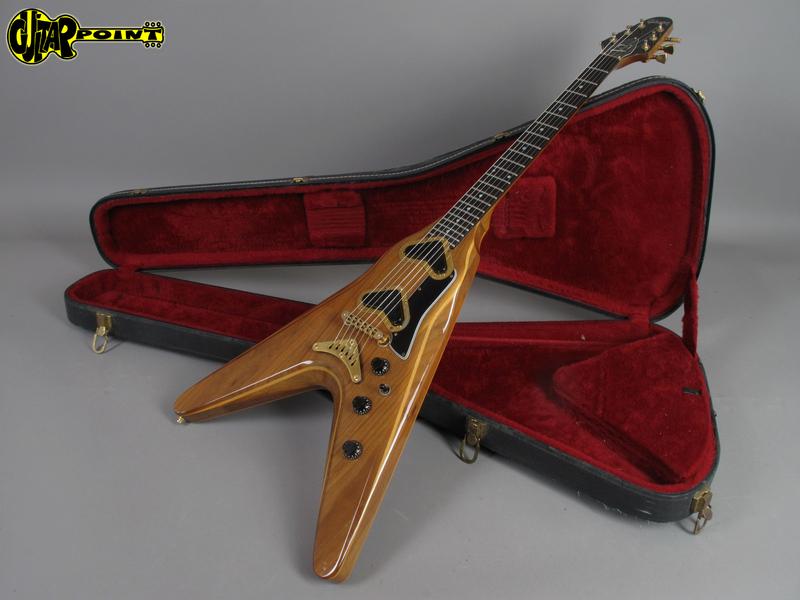 Clean and all original 1980 Gibson Flying V2 - Natural in great condition. 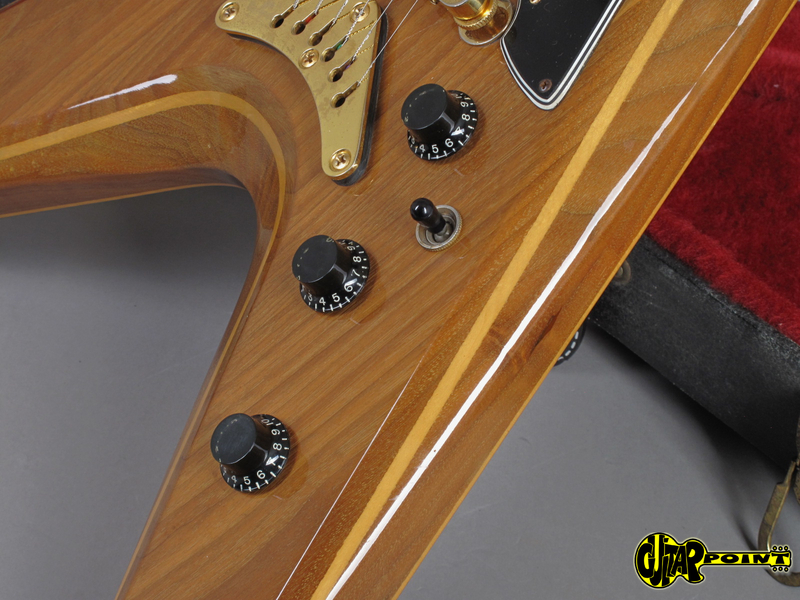 Interesting design, this guitar is from the first batch in all natural finish, displaying the multi-layer maple- walnut construction. 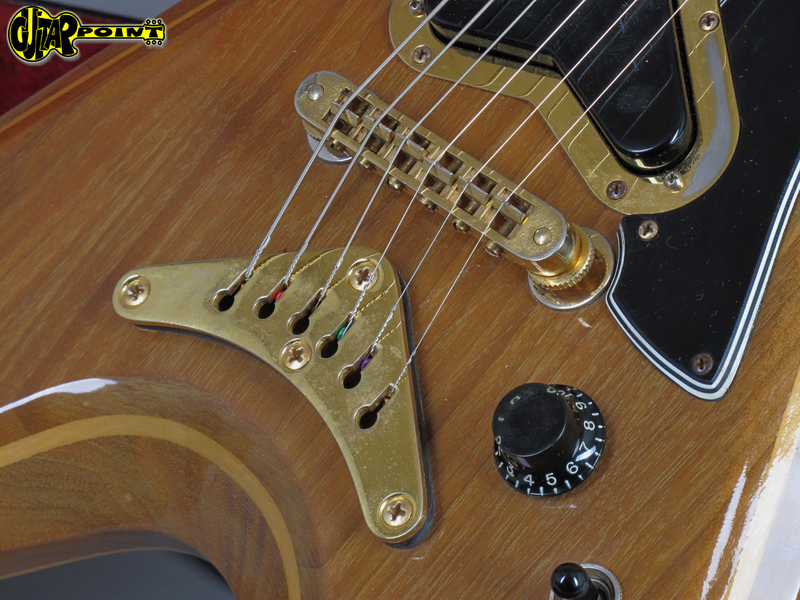 Some very minor playwear, only the gold hardware is a bit worn which a typical phenomenon. 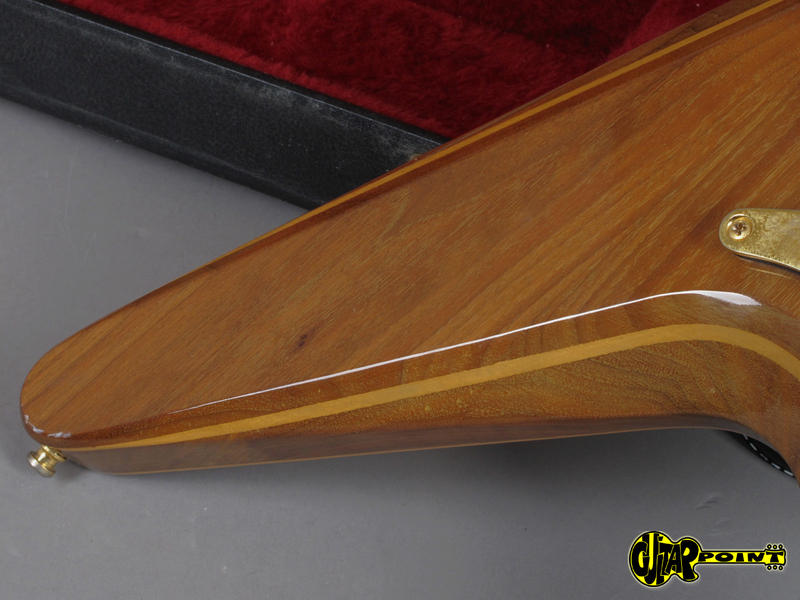 The five-piece laminated walnut/maple neck has a medium c-shape profile and is comfortable to play. 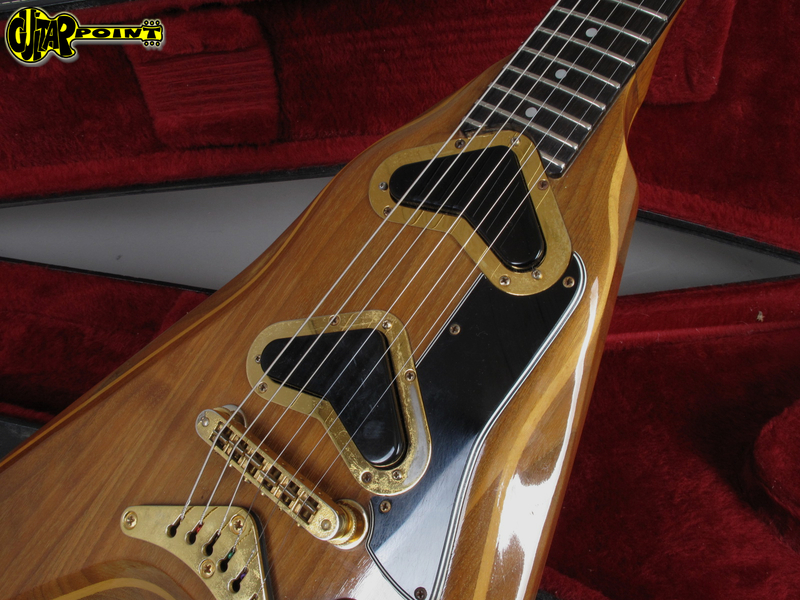 The two v-shaped "boomerang" pickups have a nice, rich and warm sound. 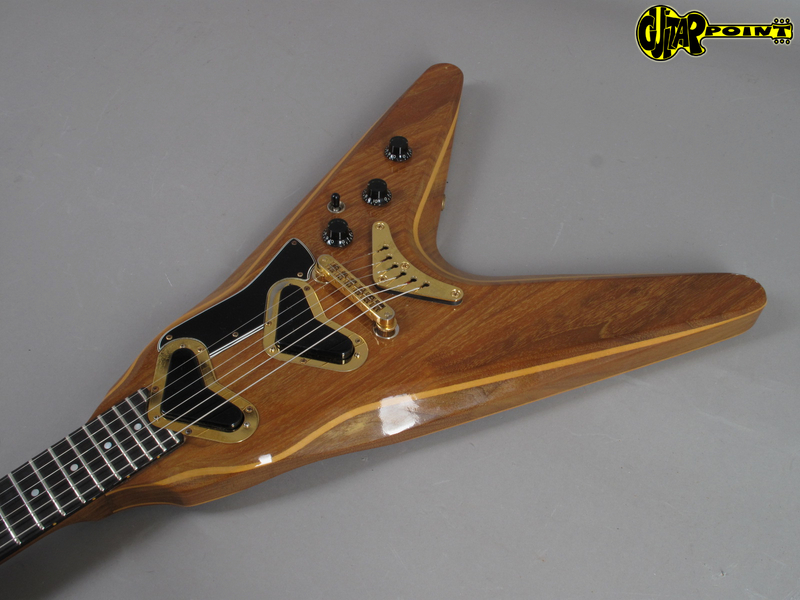 Only made between 1979 and 1982 and only the first run was finished in beautiful natural. 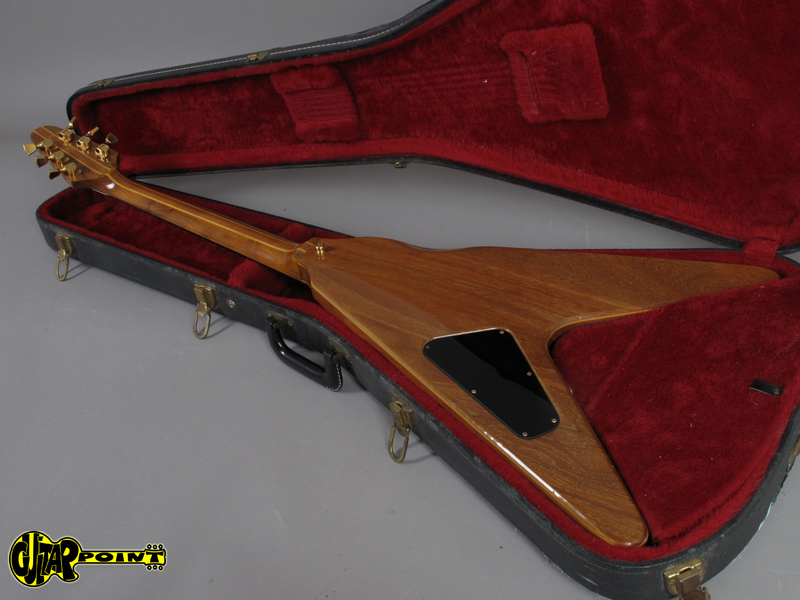 Comes in its original black Gibson Hardshell case. 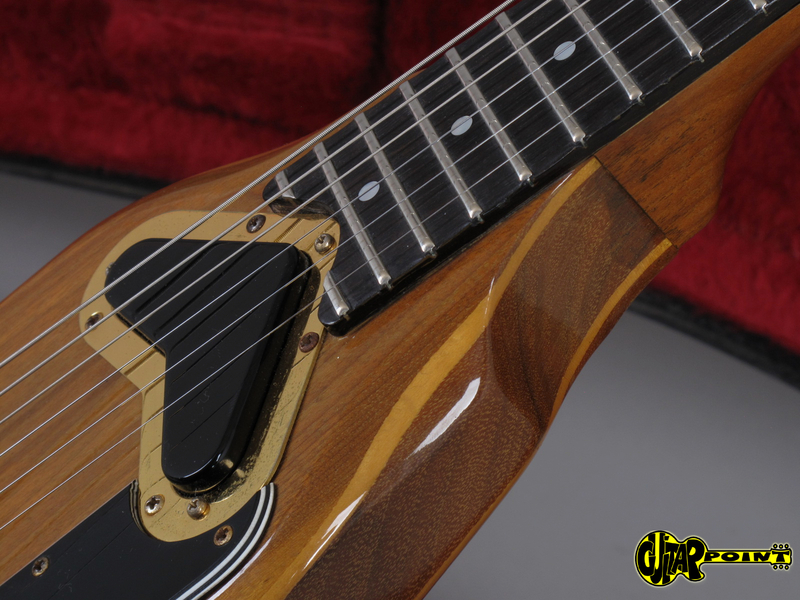 2x Vol./1x Tone - black hat knobs.